AMIS Healthcare Business Management solution is designed by a group of seasoned practice managers, billing and accounting professionals.This solution is evolved out of a medical practice over several years. This is an integrated solution that uses optimized workflows to capture all aspects of running a medical practice. AMIS Revenue Manager is an integrated revenue cycle management system that uses customizable and rule based workflows in claim management. AMIS Revenue Manager provides business analytics and business intelligence tools to facilitate revenue management. Financial dashboard and various drill-down reports in AMIS billing provide the doctor with a holistic view of the business. AMIS RendezVous Scheduler is one of the core module of AMIS Healthcare Business Management Manager suite that facilitates multi-location, multi-physician appointment scheduling. sort and print these documents based on patient data, document type and date of service. 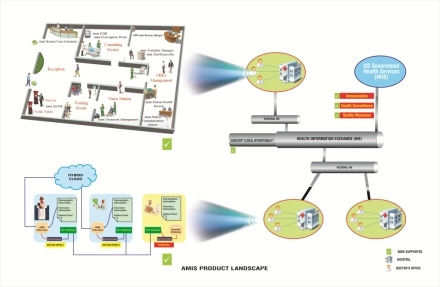 Architects of the AMIS suite have extensively industry experience in designing and implementing enterprise level Customer Relationship Management(CRM) software that proactively understand and serve the needs of the customer.AMIS with its Patient Relationship Management suite introduces the princple of CRM to healthcare domain. solution is in line with Health Information Exchange (HIE) initiative. the data. Patient could carry this with them anywhere they go. in a health-ecosystem among providers, patient for a better co-ordinated care. AMIS Patient Care Management solution includes AMIS Easy EMR, AMIS Patient Care Portal, AMIS Prescription Manager, AMIS Lab Manager and Mobile EMR(Smartphone interface). AMIS Patient care portal provides an innovative solution for collaborative patient care management. and evaluation in patient care. writing process making it simple, fast and effective. AMIS Mobile EMR allow care provider to use a smart phone for viewing patient data. 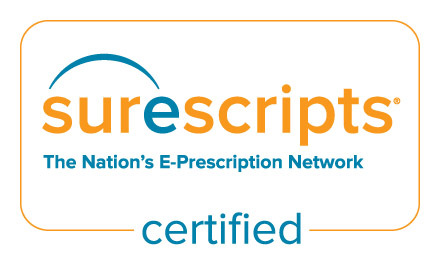 MEDtranscribe™ is a trueHIPAA compliant medical transcription solution.Our solution is a unique in the industry and we have integrated this with our EMR software to facilitate dictation driven E&M in EMR. grown rapidly and become more complicated as many new vaccines have been developed. AMIS Vaccination Scheduler tracks all this information. with AMIS TimeSheet Manager.The solution is highly flexible, quick and easy to use. AMIS Call Manager provides management of calls directly by system users at their workstation computers. lab order intergration and lots more.